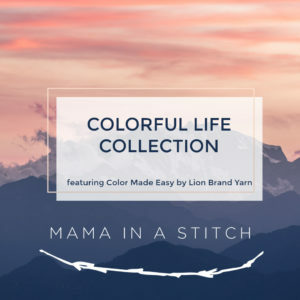 Scroll down to see the free pattern or you may choose to purchase an ad-free, printable PDF pattern from my Etsy shop or the kit from Lion Brand Yarn here. 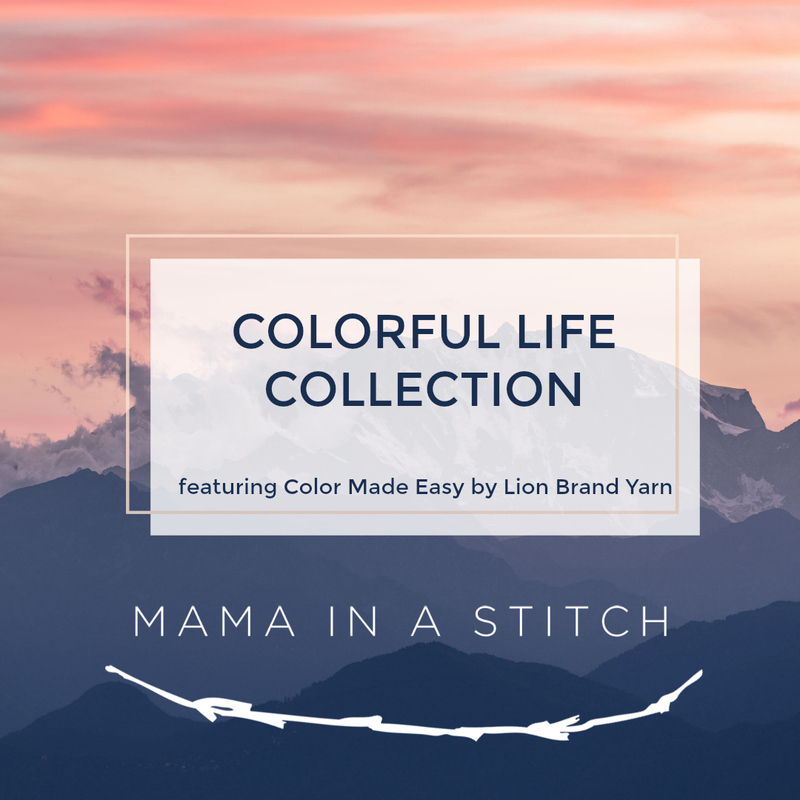 Today I get to share my second project made with the new Color Made Easy yarn from Lion Brand! 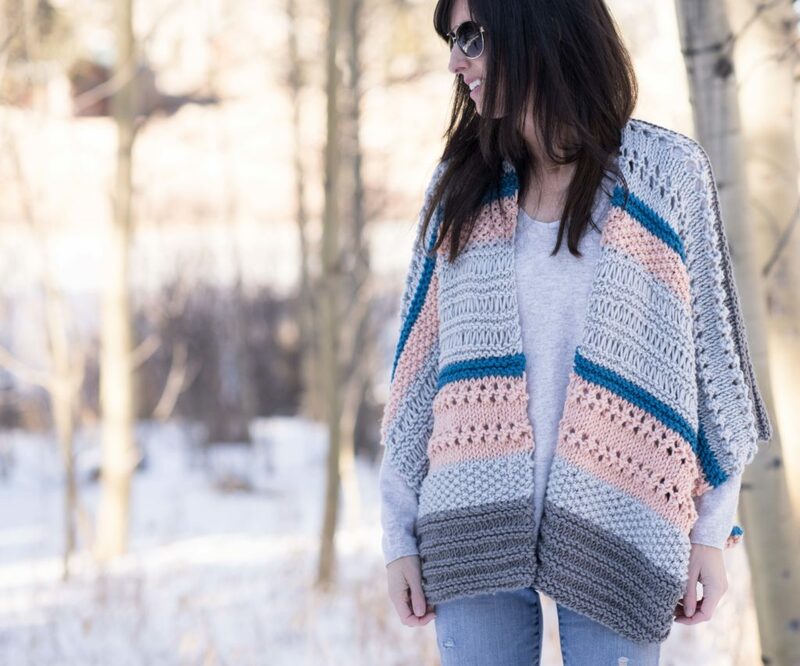 This Monaco Kimono is super pretty and especially fun to knit because you get to play around with several different colors and stitch patterns. The variety of stitches creates a cool visual effect and makes for a nice mix of textures. And no worries, this kimono was made to be simple! 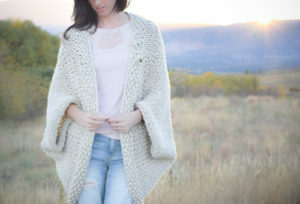 Do any of you remember the Telluride Knit Kimono (here)? It’s a nice, classic kimono that’s really great for beginners because it uses the most basic of stitches and an easy construction method. This Monaco Kimono uses the same construction method, but it requires a bit more skill because of the color changes and variety of stitches. You’re essentially knitting two rectangles and seaming them together to form the kimono. It’s pretty impossible to get bored with this pattern as you’ll be hopping from drop stitches, to bobbles to eyelets. These are all stitches that you can definitely do if you’re comfortable with knitting and purling. You will do some yarn overs and decreases (but that’s nothing to be afraid of). 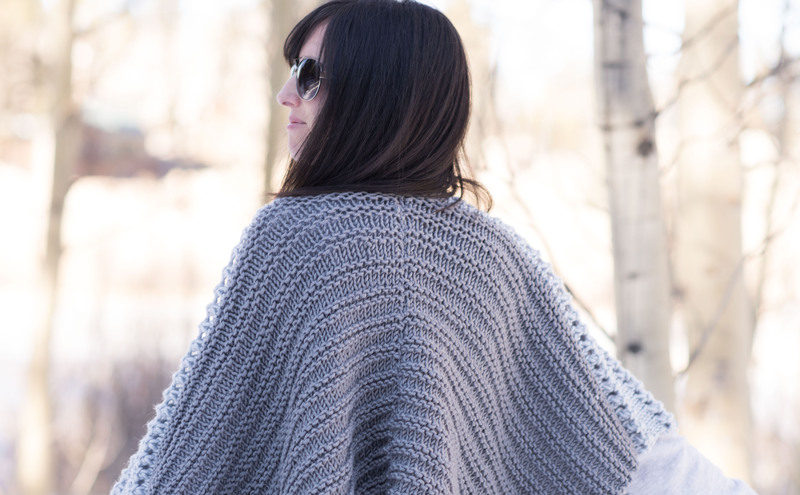 It’s always nice to have stash buster ideas in our back pocket, and this kimono pattern would be a perfect stash buster for your chunky yarns as well. When designing this pattern, I hoped to stretch out of my comfort zone and use some new colors. I’m pleased with how they all came together! You should have seen me sitting on the floor while trying to decide on colors. 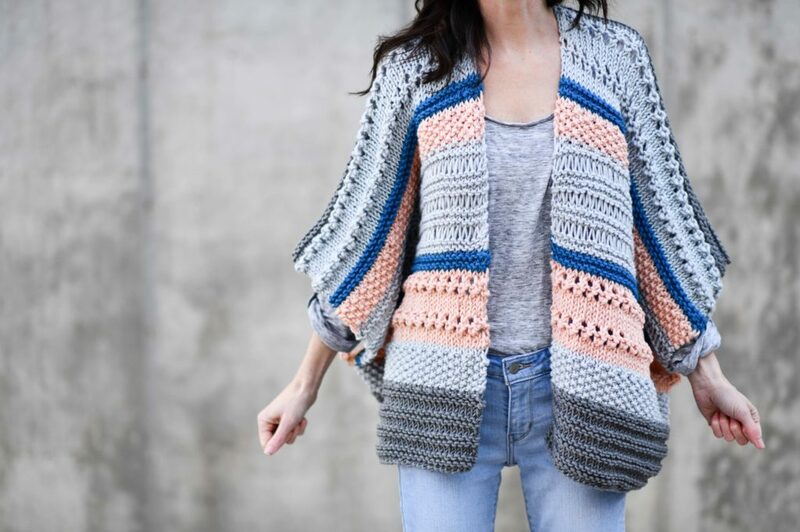 It may have taken me longer to pick colors that it will take you to knit this kimono. 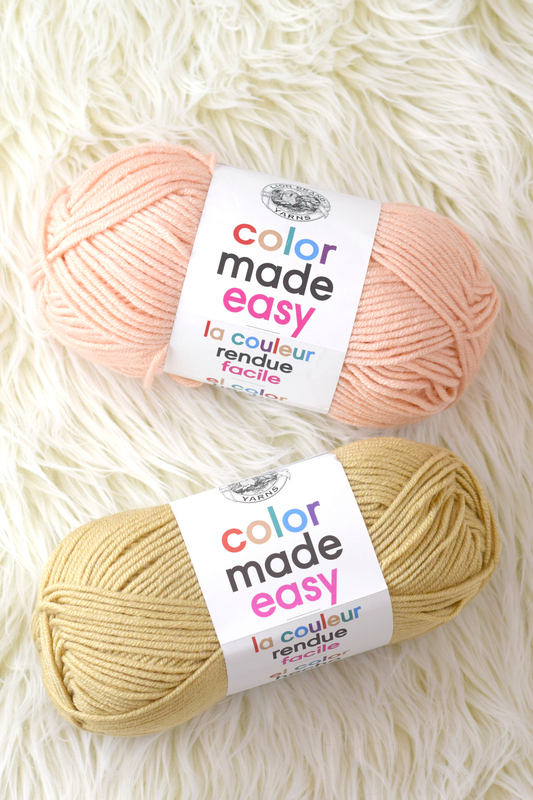 🙂 There are several great color options with the Color Made Easy yarns, including several pretty neutrals. You guys can find the yarn at select Michaels Stores and online at the Michaels website and also on Lion Brand’s site. This kimono is squishy, unique and definitely fun to knit. I think it goes great with jeans, but it would be really cute with leggings as well. Any other ideas? Messy bun, kimono and leggings – that’s probably my fave idea of all. One thing that I really love about this yarn is the stitch definition you get. It also works up beautifully as it doesn’t split and it feels great in your hands. Yay for having a new, chunky weight yarn available! Oh! On Instagram, some of you mentioned that you think this stitch pattern would make for a nice blanket! 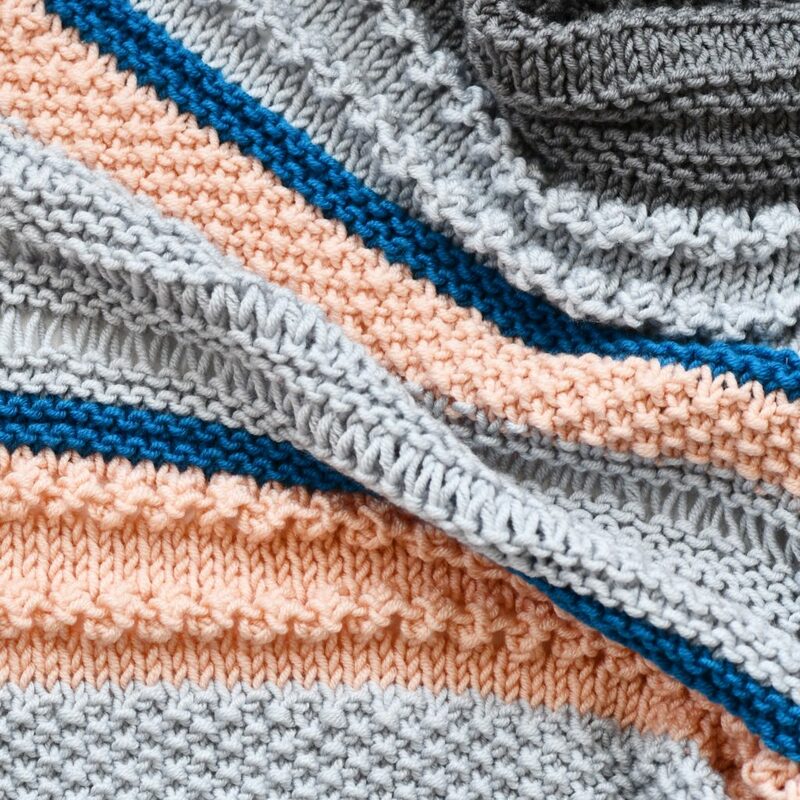 If you’re experienced and want to make a blanket, you will just cast on a stitch count in a multiple of 2 stitches + 2, making it the width that you’d like. Then you can follow the stitch pattern for as long as you’d like, working the various sections until the blanket is the size you’re hoping for. 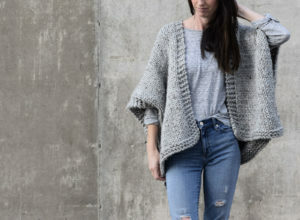 Pattern Description: A gorgeous cardigan-kimono that can be worn over a variety of tops to add warmth and style to your winter wardrobe. The diversity of stitch patterns make it not only pretty to look at but also super fun to knit. With colors that are right on trend, this kimono goes perfectly with leggings or jeans to create a cute cold weather outfit. It’s important that your gauge matches the gauge indicated in the pattern for the size to turn out correctly. Adjust your tension or change needle size accordingly. 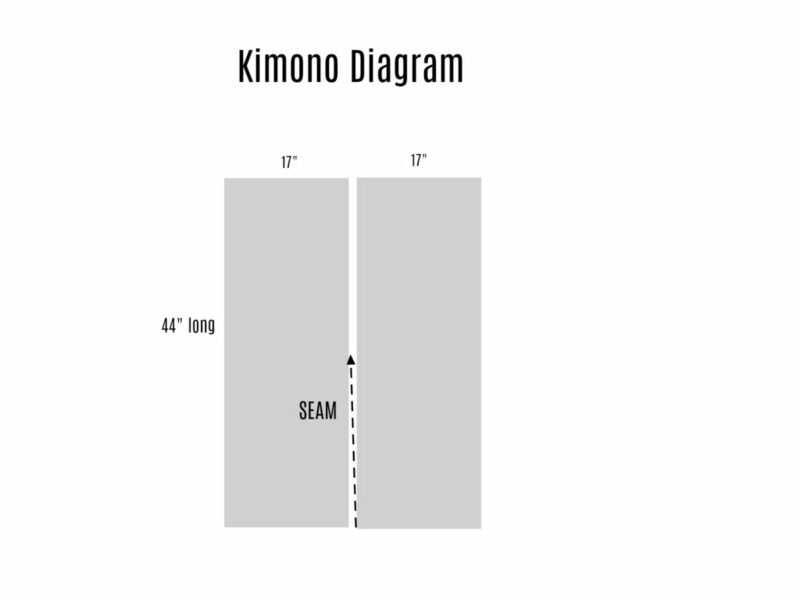 Notes: This kimono pattern is created by knitting two rectangular panels, from the bottom up. The pattern is broken into the various sections of stitch patterns. 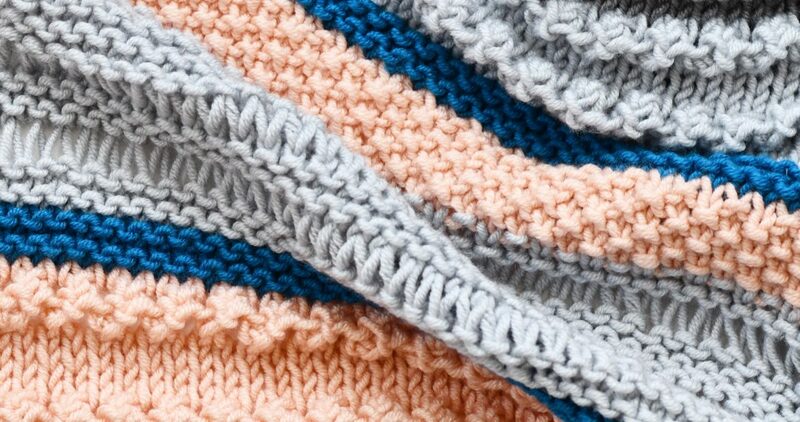 You should know basic knitting stitches and how to make color changes. To finish, the panels are seamed along the center back and sides. You may choose to make it longer by adding more rows to the end of each panel (keep yarn needs in mind). Row 5 P1, *yo, p2tog; rep from * to last st, purl. Row 7 P1, *p2tog, yo; rep from * to last st, purl. Repeat rows 1 – 6 from previous Garter Ridges section until piece measures approximately 44” long, or desired length (keep yarn needs in mind), ending on a row 6. Repeat entire pattern one more time to make second panel. Place panels vertically on a large, flat surface parallel to one another with wrong sides facing up. With your tapestry needle and length of yarn, seam up the center from the bottom up. The seam will be on the side with the Basalt color and Garter Ridge stitch pattern. Seam until you are 2” from the center point. Tie off and weave in ends. Next, fold panels downward so that the panels are folded in half. Seam up each side, leaving large openings for the arms. Tie off and weave in ends. The garter ridges pattern is fairly unique and definitely easy! Next week I’ll be sharing my final pattern of the “Colorful Life Collection”, which is a playful knit scarf. 🙂 Hope you have a wonderful day and I’d love to hear your thoughts, as always! Any chance this will be turned into a crochet pattern??? Oops sorry did not look close enough. Thank you, I think our weather Downunder ie 31c today must be getting to me. Will put aside untilweather cools down. I’m definitely going to make this kimono. I’ve been waiting for the pattern since I saw the first pictures. I’ll make mine in a natural white wool mix yarn from my stash. I’m sure that it’ll be very beautiful with all those stitches. I like colors, too, but just now I need and want a white kimono. It’s difficult to find a decent high quality acrylic yarn here. It’s a pity because some people can’t wear wool. I would also love to know if you will have this in crochet. It’s absolutely beautiful ❤️. But I can’t knit either. I would love to learn, but I have no knowledge. You make absolutely beautiful patterns all the time. Thank you for all you do for all of us. Thanks Dawn! I don’t have a crochet version in the works, but always appreciate suggestions! Just saw this post today. It’s my birthday and Michael’s has this yarn on sale, so I went and picked it up! Can’t wait to make it. I picked turquoise and magenta to go with the two grays.